Kris joined the financial services industry in 2002. He was inspired to help others pursue financial goals during his academic career at the University of Colorado where he earned a B.S. degree double majoring in finance and marketing. 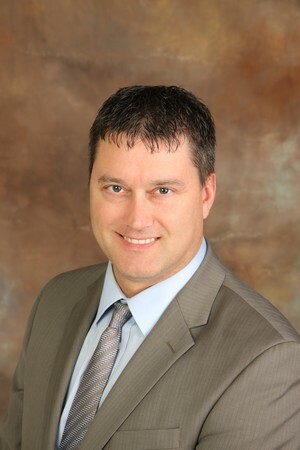 Kris is one of the founding partners in Siouxland Investment Group. Kris grew up in rural Sloan, Iowa on the family farm where he was taught small town midwestern values. Face to face business meetings is what he was exposed to early and is still what he enjoys doing with his clients. As a Certified Financial Planner Practitioner®, Kris is qualified to engage with clients and prospective clients concerning every major segment of their financial lives. Kris is a member of the Financial Planning Association® Iowa and Nebraska chapters as well as the Siouxland Estate Planning Council. Kris brings a holistic view to each relationship, taking each individual's "big picture" into consideration. He regards each client relationship as a "long-term comittment." This "long-term commitment" often grows into the next generation. Working with a client's attorney, he can help with issues surrounding estate planning while customizing investments that may become a lasting legacy to a client's loved ones. He believes investment relationships are partnerships where personalized strategies, education, and honesty guides the decision making process. He believes there is no better complement than a referral. Kris and his son, Sean, currently reside in Sloan, Iowa. When he's not working, Kris enjoys travelling and attending his son's athletic games and other school events such as show choir. He also manages the family farms in Sloan, Whiting, and Onawa.